Why English is Spectiferous for Coining New Words. 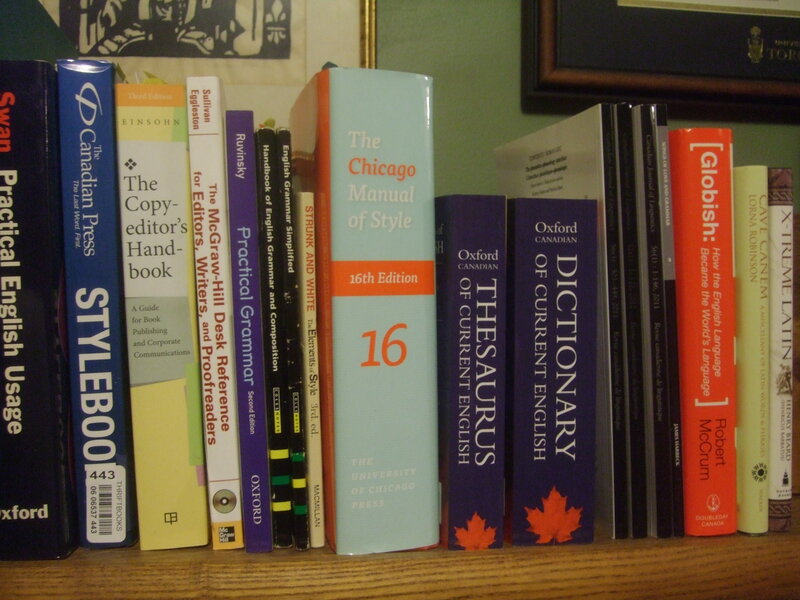 English has a long history of adopting vocabulary from other languages. As James Nicoll put it: “We don’t just borrow words; on occasion, English has pursued other languages down alleyways to beat them unconscious and rifle their pockets for new vocabulary.” Yet we don’t stop there. English is a bit more open to change than many languages, what with our verbal kleptomania and our muddled origins, and this seems to make us fond of both portmanteaus (words created by combining two other words), and coining brand new words. Though probably not the main factor, a good part of English’s word invention habit results from grammatical conditions. Differences or errors in pronunciation are less likely to be problematic in English as positional context is more important and we have comparatively simple declensions and conjugations. This means that distinguishing between similar sounding words, or assigning probable meaning to an unknown word, is done partly by its position in the sentence, and there is rarely confusion as to what type of word it is. The probable primary reason why word invention works so well in English is that we have a strong association between sound and meaning. I’m not talking about onomatopoeia here, though we have plenty of that as well, like ‘buzz’ for the sound a bee makes, and so on. What I’m referring to here is a different type of association, that of particular vowels or consonants which automatically invoke a particular attribute or feeling. Many other languages have this association as well, though not usually to the same degree. High front vowels such as in ‘life’ and ‘tweet’ are often judged to be bright, small or cheery, while low back vowels as in ‘sad,’ ‘dark,’ and ‘mug’ are interpreted as being dim, large or dull. Word endings with a high vowel (-ie, -y) or a lateral consonant (-l, -le, -elle) are considered diminutive or less serious, and words ending with affricate sounds like ‘-ch’ are often considered unpleasant. So when native English speakers hear a nonsense word like ‘crulch,’ the immediate association for most of us is that, while we have no idea what it actually means, we assume it to be something unpleasant, clunky, and possibly sharp or sticky. Sibilants like ‘s’ and fricatives like ‘sh’ often conjure a meaning related to soft, quiet, subtle, or subdued, which can be seen in words like squishy, plush, shady, sash, satin, silk, shadow, sappy, sheep, shame, sheesh, shush, shun, shy, and splash…. Sorry, got a bit carried away there. A few simple changes to the sound, like the addition of hard consonant sounds, can often give it a whole new connotation, as in sharp, stick, spit, swig, or shot. And those are just a few examples from the hundreds of complex, and under-studied, phoneme associations in English. Shakespeare is famous for coining new words, many of which are now fully integrated and official. Words like ‘besmirch,’ which in context is recognizable almost instantly as meaning ‘to damage or soil one’s reputation,’ partly on the basis of its sibilant and affricate sounds. It conjures to mind similar sounding words, like soil, squelch, squish, switch, smirk, and itch, among others. ‘Gossip,’ ‘puking,’ and ‘bump’ are others that he invented, which likely stayed with us at least partially because their sounds fit so well with their meaning in the minds of English speakers. Probably the best example of how nonsense words can be understood based largely on their sounds comes from Lewis Caroll. 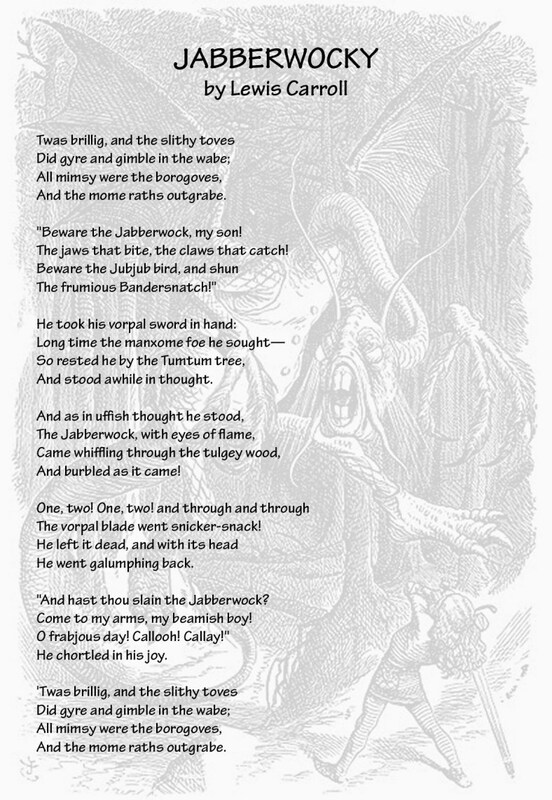 In Jabberwocky, almost half of the principle words were invented, and can only be understood because either they are an obvious portmanteau, or they are phonetically constructed to convey a certain impression. Even without the context of the poem, words like ‘mimsy,’ ‘slithy,’ and ‘vorpal’ give us a very good idea of what they might mean just by their sound. Numerous authors and personalities have contributed new words over time, such as J.K. Rowling’s ‘muggle,’ Rudyard Kipling’s ‘grinching,’ or Nick Kaltenbronn’s ‘quiz’. The Oxford dictionary adds about a hundred new words every year, many of which are acronyms or portmanteaus, but some of which are pure invention. If their sound fits and the word becomes popular enough, they inevitably become established words. In addition, rare, freshly minted, or newly assembled words seem to hold a fascination for many of us. There are dozens, if not hundreds, of websites now dedicated to coined words and portmanteaus in English, and even a few designed to help you out with randomly inventing new words.